Saved the photo as a JPEG from both programs (two separate photos, one generated by Lightroom and one by DxO). Compared the photos on my desktop with the file viewer and not in either DxO or Lightroom. Result: The photos looked exactly the same. This is good because the color space I chose to output each in both programs was exactly the same, sRGB. Make sure this is true or else they will look different because different color spaces cause photos to look different. I stick with the sRGB color space when I initially output all of my photos because this ensures uniformity across all devices everywhere. Next, I viewed the same exact file in both programs. I found that DxO was showing me more reds and greens – an indication to me that the color space was somehow off within DxO. In Lightroom, when you are viewing photos, it shows you photos in the color space of your device. For example, if you are viewing a photo on a calibrated monitor or laptop, it is going to use that color space and show your photo. On the Display tab, find the Common section. 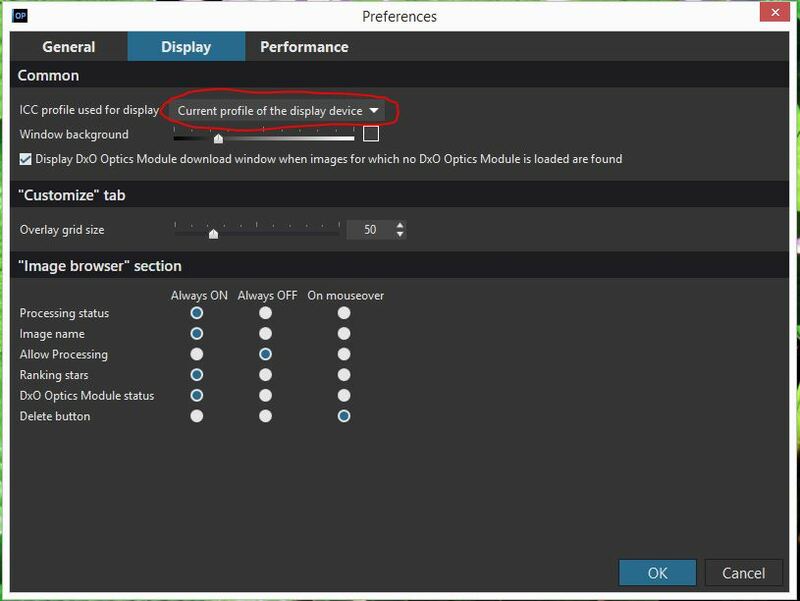 Choose “Current profile of the display device” in the “ICC profile used for display” section. Restart DxO to make it take effect. These programs, DxO and Lightroom, work well together and will create the best photos for you from your photography workflow, but they must both show you the same images. Make sure that this is true by setting the display correctly, and you will have a lot less frustration!